"a violent mob (and not ‘peaceful and unarmed’, as the Western propaganda goes), burning and looting vehicles and other property, revolted on Bloody Sunday in 1905"
Every high school child learns that ‘Bloody Sunday’, was a ‘peaceful demonstration’ that was violently fired upon by soldiers of the Imperial Guard in 1905. Among the first questions, people ask very piteously, is this one: if the Tsar didn’t actually want people to be shot and cared about his people, why he just march out if the Winter Palace and greet the demonstrators? Why didn't he just listen to them? In fact, he wasn’t even in St. Petersburg at all. Nicholas II had stayed in his summer home, kilometres away. His family still shaken and recovering from a recent assassination attempt by revolutionary terrorists. Especially aggressive was the crowd that gathered by the gate of Alexandrov Park, where they shouted insults at the guard, yelled, whistled, and at the warnings shouted, “Shoot us." Fact Check 3: The March was not a spontaneous populist movement. Revolutionaries had planned the march...and violence was part of their plan. 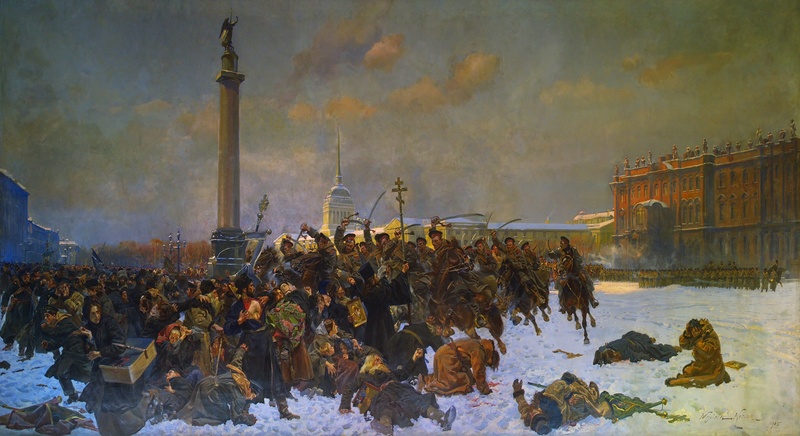 And although the purpose of the march is often described as a humble request for help, it was actually a demand for unquestionable, complete submission from the Tsar...Or else…. The Leftist powers were thrilled with the occurrence and immediately began framing it as "a shooting by the Tsar at a peaceful demonstration." Though the revolutionaries professed to want 'political reforms,' nothing of the sort appeased him. They did not need political reforms, they needed "great upheavals" as a Russian politician, Pobedonostev, later said of the revolutionaries. Though the Tsar systematically did everything in his power to prevent bloodshed, the use of Bloody Sunday as 'proof' of his callousness, has become so ingrained into the public consciousness, that saying anything to the contrary is often considered to be a sign of ignorance.